Although you can plant grass seed in any type of soil, sand is very challenging because it dries out so easily. It is less dense and cannot retain moisture. Grass seed needs moisture to germinate. Dry, brittle conditions are not ideal for planting a lawn. Before spreading grass seed, it is essential to add nutrients to the ground. Watering is another key to successful grass growth; 30 percent of grass seed can fail to sprout if it dries out. Disperse grass seed over sandy soil in the spring or summer. Clear the yard so the grass seed can germinate properly. Get rid of debris like sticks and rocks. The seed needs to touch the sand to sprout. It won't develop roots if it's on top of weeds or rocks. Put topsoil in the low places and rake it until it's level. This will keep water from pooling, thus washing away the grass seed. Till the top 4 inches of sand. Air pockets are necessary to encourage root spread and growth. Add compost to the sand to increase the moisture and enhance the nutrients. Spread 6 inches on top of the sand, and till until the two are combined thoroughly. Put down a starter seed fertilizer to further improve the condition of the sandy soil. You can also use a product that has a lot of phosphorus in it. Mix it into the top few inches of dirt. Fill a mechanical or hand spreader with the appropriate amount of grass seed. This will vary, depending on the type of seed. Follow the seed bag guidelines. Run the back of a metal rake over the seed to cover it lightly with 1/8 inch of the local (amended) sand. Water your yard until it's moist. Don't overwater, or you will cause the seeds to float away. Water the grass seed everyday until it germinates. Sand is dry and loses nutrients easily, so pay extra attention and make sure it stays moist. Keep off newly planted grass until it has had time to develop a strong root system. 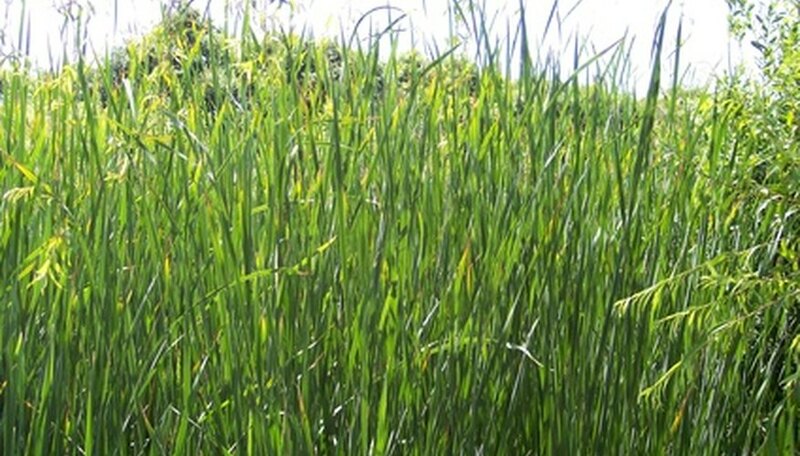 Water grass seed in the daytime to prevent fungal infection.